Can You File Bankruptcy on Payday Loans in Arizona? While a bankruptcy filing may seem like the best option for addressing your financial troubles, it’s not always going to be possible. You have to meet certain Arizona bankruptcy requirements in order to be granted a debt discharge. How is a Chapter 7 Bankruptcy Filed in Arizona? 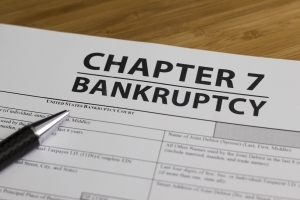 How is Chapter 7 Bankruptcy Filed in Arizona? What are Some Misconceptions About Filing Bankruptcy in Arizona? Involuntary Bankruptcy in Arizona: What is it? How Will My Spouse’s Bankruptcy Filing Affect Me?